Diego Velazquez – Born in Seville he is remembered as one of the great masters of Western Art and the Spanish Golden Age. Producing compositions of amusing scenes and an array of portraits including “Portrait of Pope Innocent X” during Velazquez time spent in Italy. He became the leading artist in the court of the Spanish King Felipe IV and one of his most famous paintings “Las Meninas” currently belongs to a large collection of Velazquez paintings in the Museo del Prado, Madrid. Bartolome Murillo – Known far more than Velazquez at the time, Murillo was considered the triumph of Spanish Baroque, expressing sweetness and light, he produced a considerable number of paintings of contemporary women and children in everyday life, but is most famous for his religious works of art both paintings and drawings. Born in Seville, he lived in Seville throughout most of his life bringing up a large family of 11 children. A large collection of his artwork can be seen today in the Museo del Prado, Madrid and the Hermitage Museum in Saint Petersburg, Russia. Pablo Picasso – A Spanish painter, sculptor and ceramicist, he spent most of his adult life in France although born in Malaga. An influential artist known for co-founding the Cubist movement and developing in the plastic arts. Some of his most famous works of art are “Les Demoiselles d’Avignon” and “El Guernica” which he painted during the Spanish Civil War. His work is categorized into select periods spanning over 20 years work; the Blue Period, the Rose Period, the African-influenced Period, Analytic and Synthetic Cubism also referred to as the Cristal Period. A Spanish icon, Picasso now has two large museums in Spain representing his works of art, including The Picasso Museum in Barcelona and the Museo Picasso Malaga, along with the Fundación Picasso Museo Casa Natal. In keeping with the Picasso theme, Marbella Unique Properties is proud to offer a spectacular frontline beach villa for rent on a short term basis with one of the most bespoke features worldwide, a large outdoor swimming pool designed uniquely based upon a sketch hand drawn by Pablo Picasso as a present for the original owners of the property. Museo Carmen Thyssen Malaga – Famous for being such a large private collection belonging to the Baroness Carmen Thyssen. Offering one of the largest collections in the world of the Andalusia Collection theme including works of art of Andalusian patios, Andalusian countryside, Bull fights, Flamenco dancers and women in traditional Andalusian dress. The Baroness Carmen Thyssen aim is to popularize 19th Century Spanish paintings through the two museums, along with the renowned Thyssen Museum in Madrid. 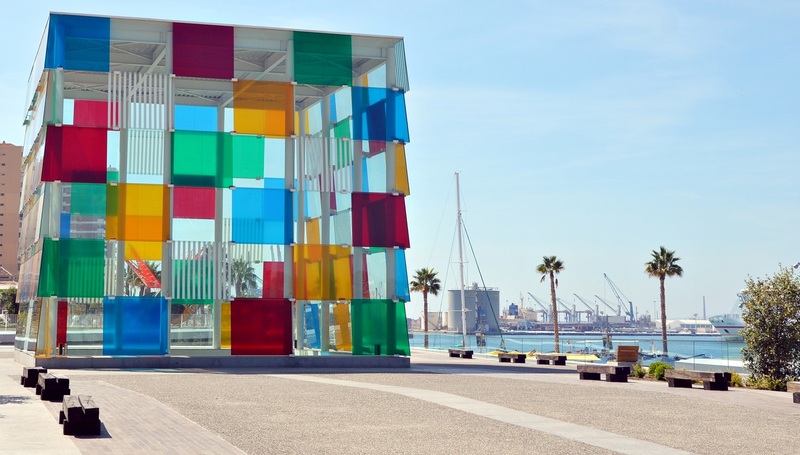 Centre Pompidou Malaga – The first art centre outside France boasting a permanent collection of Parisian works of art. In 2013 Malaga was chosen to be the privileged location for such a unique museum, located in Malaga Port the building itself is very modern and unique in style. Focusing to attract public of all ages, an excellent and unique museum. Museo Picasso Malaga – Opened in 2009 the museum is based in the home and birthplace of Pablo Picasso with works of art donated by members of Picasso’s family including paintings, sculptures, individual drawings, sketches, ceramic pieces and engravings. Spanish culture is distinctly identified and based largely or entirely in Andalusia with flamenco, bullfighting and Moorish influenced architecture. Some of the greatest examples of Moorish influenced architecture can be found in two UNESCO World Heritage Sites: the Alhambra in Granada and the Great Mosque-Cathedral of Cordoba. The Alhambra in Granada is a Moorish palace and fortress complex built by the Moors in the mid 11th century covering an area of approximately 142.000m2. The Mosque-Cathedral of Cordoba is considered one of the most accomplished monuments of Moorish architecture. Originally a catholic church, in 784 the church was demolished by the Moors and they began to build the Grand Mosque. Some of its most unique features are the 856 grand columns made of jasper, onyx, marble and granite located in The Prayer hall. A luxurious and richly gilded Mihrab is one of the most prominent architectural pieces. Further to the architecture and fine arts, Andalusia is famous for its Traditional annual festivals and festivities which take place from each small village, to the large towns and cities. The festivals are based on the Catholic religious calendar and vary from parades to processions of all sizes and budgets, usually finishing with a fun fair at night and dancing in the streets during the day. These festivals are for people of all ages and tastes with local food and wines on offer and open to the public. Typically Flamenco is danced during these events and are grouped into many distinct categories including the most famous being Fandango, Bulerias, Alegrias. Cities such as Malaga and Seville have their own Flamenco style. In cities such as Seville tourists come from all over the globe to witness and join in their most famous event La Feria de Abril, where people arrive on horseback wearing traditional Spanish attire to attend the day fair. It is a truly unique experience and one not to miss! Art and Culture in Andalusia!! !